Travis McCrea a, the former leader of the Pirate Party of Canada, has been involved in the pirate activist arena for many years. While many of his counterparts have faded out of the limelight, McCrea has actually upped the tempo in recent years, with a particular focus on the eBook arena. After launching TUEBL (The Ultimate eBook Library), McCrea went on to grab headlines with eBook.bike, a relatively new user-uploaded content venture focusing on the same niche. Early March, opposition to McCrea’s site hit a peak, with authors lining up on Twitter to berate the entrepreneur. McCrea admittedly stoked things up, apparently making matters worse but as a side-effect, increasing visitor numbers to his site. In the middle of last month, McCrea told TorrentFreak that he would be happy if someone actually sued him. “My statement remains what it always was. I want someone to sue me. I want to win that case and then have legal precedent which should let me start finding ad partners, not having to deal with as much BS,” he told TF. McCrea didn’t have to wait long. In a lawsuit filed in the Eastern District of Texas, author John Van Stry is now suing McCrea and alleged business partner Francisco Humerto Dias (doing business as ‘Frantech Solutions’) for direct, contributory, and vicarious copyright infringement. While McCrea and Dias are both Canada residents, the suit alleges that the US Court in question has jurisdiction because Ebook.bike and hosting provider Frantech “allows for and does reproduce” copies of copyrighted works without a license into Texas, despite being issued with notice of infringement. The suit claims that both defendants are also vicariously liable for the infringements of Ebook.bike users, since they had knowledge of direct infringement and each “materially contributed” by providing hardware and/or software platforms which “encouraged and facilitated” copyright infringement in Texas for “material gain”. The plaintiff, author John Van Stry, claims to have begun writing in 2011 and by 2015 was a full-time author living solely off the royalties from his books, including under the penname Jan Stryvant. Seventeen of his books are said to have become number one best-sellers on Amazon. When switching to the defendants, the suit inevitably trawls the archives in respect of Travis McCrea. “Mr. McCrea has a long and proud history of pervasive, blatant, and egregious violations of other persons’ intellectual property rights,” it states, noting that McCrea became the leader of the Pirate Party of Canada in 2011. Given McCrea’s activities over the years, the suit isn’t light on background information. It claims that in 2013, the entrepreneur admitted to running a site called Library Pirate, which instructed students on how to scan their own books and upload them to the site. The same year, McCrea allegedly launched TUEBL, a site not dissimilar to Ebook.bike. Given that McCrea was born in the United States and is being sued there, it’s no surprise that the takedown provisions of the DMCA feature prominently in the complaint. 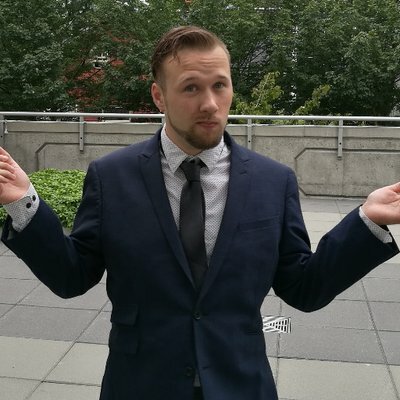 McCrea is on the record as saying that since he’s in Canada he doesn’t have to abide by the terms of the DMCA, but does so since it’s a recognized system. However, the suit suggests that when running TUEBL, McCrea required senders of takedown notices to prove (beyond a mere statement) that they own the works in question via “scanned or faxed hand-signed letters” while refusing to accept emailed notices. The complaint also alleges that McCrea claimed that user donations to TUEBL would be tax deductible since they would be made to a church – “The Kopimist Church of Kopimism”. 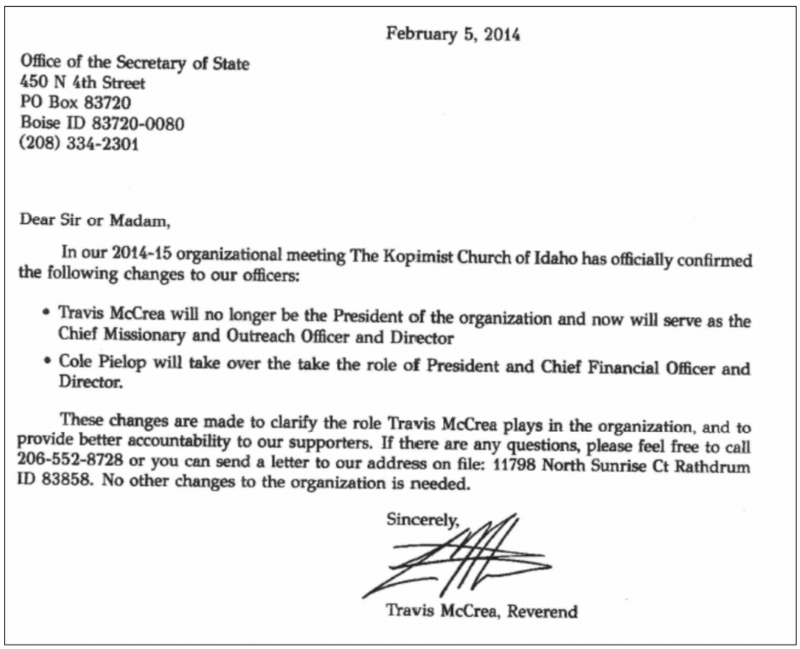 Indeed, McCrea did register such a church as a Religious Non-Profit Corporation in Idaho in 2012 and became its ‘Reverend’, before changing roles in 2014. The fact that McCrea now has a photograph of himself on Twitter next to a plane (a 1967 PIPER PA-28-140 which was registered to the Kopimist Church of Idaho in 2014) seems to give weight to the claim of where at least some of the donations ended up. Around 19-pages into the complaint, it addresses the current issue – that of Ebook.bike. The platform serves the same “function and mission” as TUEBL, the complaint notes, adding that McCrea admits to running it. “Mr. McCrea’s eBook.Bike solicits visitors of the site to upload books to the website and facilitates such uploading with an interface where anonymous visitors to the website can simply ‘drag and drop’ a file which contains an entire book. “There is no message, warning, or other instruction on the upload page that persons should not share copyrighted works or works for which they do not own the copyright,” it adds. Van Stry claims that on March 11, 2019, he sent an email to EBook.bike asking for 15 of his books to be taken down but they remained up at the time the complaint was filed. A letter containing the same request, sent by his lawyer to the postal address on the site, produced the same result. At this point the complaint turns to Cloudflare, which provides services to Ebook.bike. The plaintiff alleges that when presented with a DMCA complaint, the company would only reveal where McCrea’s site was hosted and an associated email address at Frantech.ca. The plaintiff claims that Frantech is run from Canada by Francisco Dias and Aldryic C’boas and “provides, or has provided, hosting services for neo-Nazi and hate groups.” The alleged connection to Ebook.bike is detailed in the image below. “As recently as March 16, 2019, Mr. McCrea expressed, ‘I want someone to sue me. I want to win that case and then have legal precedent’,” the complaint cites McCrea as saying, referencing a TorrentFreak article. “His wish has been granted,” Van Stry’s legal team write. The complaint concludes with claims for direct, contributory and vicarious infringement, while demanding a preliminary injunction against the defendants and a trial by jury. If statutory damages are deemed appropriate, the complaint demands up to $150,000 per infringement. Speaking with TorrentFreak, McCrea says that he hasn’t yet been served with the complaint but will be fighting his corner. “I’m happy to prove that what I’m doing is legal in court. The complaint that I have seen has so many false allegations I could write a novel, distribute it on ebook bike, and make a killing because ebook bike doesn’t hurt sales it helps them,” he says. Finally, it appears that both parties have launched GoFundMe campaigns to assist with their legal fees. However, while Van Stry’s fundraiser is active, McCrea informs TorrentFreak that his was shut down by the platform. “Mine was removed, GoFundMe won’t respond to my emails. I find it weird that people are going after a legal defense fund. If they are so confident in their positions they wouldn’t care if I was able to hire a lawyer to defend myself,” he adds. Interestingly, the case has been assigned to District Judge Rodney Gilstrap, who was previously described by Techdirt as “Patent Trolls’ Favorite Judge”.